During the month of February, you can order the Lunar New Year Tea Set at TWG Tea, which includes savoury canapés and tea infused desserts. They have also launched the Breakfast Bulldog Tea for the occasion. Central City Brewers + Distillers has launched the Red Racer Lucky Dog Kumquat Wheat Ale, a Chinese New Year collaboration with Taiwan’s Redpoint Brewing Co. It’s a seasonal wheat ale brewed with fresh kumquats, a sweet and fragrant citrus fruit traditionally eaten during the lunar new year celebrations. Dine Out Vancouver is back! Running from January 19 to February 4, more than 300 restaurants are offering prix fixe menus and more than 35 special events are planned over this 2-week period. Dine Out Vancouver is back! Running from January 20 to February 5, more than 280 restaurants are offering prix fixe menus and more than 100 food-themed events are planned over this 2-week period. Happy New Year! Can’t believe it’s already January 6, but that also means Dine Out Vancouver is returning next week! Did you know that in addition to dining at 277 participating restaurants for a prix fixe menu at $18, $28 or $38, you can also buy tickets to a variety of culinary events over the 17-day period? International Chef Exchange: You will feast on a delicious meal hosted by two vegetarian restaurants, Terre à Terre from Brighton, UK, and Vancouver’s The Parker. Food-tography: A Culinary Photography Tour: On this culinary tour of Railtown, tour participants will eat and sip their way through three local eateries while getting tips and lessons from a seasoned photography pro. Side Dishes – The Best of Hawksworth: Enjoy a three-course dinner prepared by Chef David Hawksworth and the team, with optional wine pairings to match. Street Food City IV: For seven days (!! ), gather and feast on delicious food prepared by more than 20 of Vancouver’s food truck vendors. Feast on Film – Like Water for Chocolate: Guests will view the Mexican film Like Water for Chocolate, a film about the power of food and love, while enjoying a three-course meal, with VQA wine pairings, prepared by four emerging chefs from the Pacific Institute of Culinary Arts. Six Course Discourse: Join Follow Me Foodie’s Mijune Pak as she welcomes six Vancouver chefs, David Hawksworth, Pino Posteraro, Angus An, Robert Clark, Taryn Wa and Thomas Haas, to share what’s on their mind and their inspirations. Brunch Crawl – West End: Visit 7+ restaurants throughout the West End neighbourhood as you taste all sorts of dishes in this brunch crawl. This is one of the six Brunch Crawls presented by Vancouver Foodster. 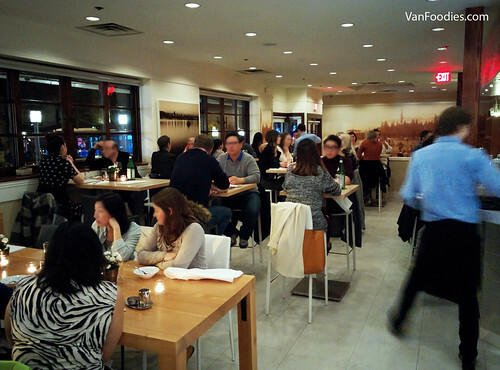 [Events] Dine Out Vancouver 2014 Returns – Let Us Help You Decide! Dine Out Vancouver is coming back for another 2 weeks of deliciousness. In addition to the traditional 3-course lunch or dinner menu, you can also participate in a number of foodie events between Jan 17 and Feb 2. And here is a list of our recent reviews of some of the participating restaurants. They are not necessarily Dine Out experience, but hopefully they will give you some ideas on what to expect from each restaurant. Returning for its 12th year, Dine Out Vancouver 2013 will run from Jan 18 to Feb 3. During this two-week period, participating restaurants will offer prix fixe menus at $18, $28 or $38. The menus are now open for public to view, and restaurants have begun taking reservations. This year, Tourism Vancouver has created a new website www.dineoutvancouver.com to provide a one-stop shop for all DOV-related activities. In addition to restaurant menus, there is also a schedule of events taking place concurrently, offering you multiple dimensions of culinary experience. Tickets are sold separately for these events. Be sure to check out Street Food City where food carts are gathered together to throw you a big food cart party! We have done some DOV coverage in the past, so I suggest you to check out our collection of DOV tastings (unfortunately, some restaurants have closed since DOV 2012 or are not participating this year). In addition, use the Search function to look up other restaurant reviews that we’ve done outside of Dine Out Vancouver. Based on our past experience, please keep in mind that what you experience during Dine Out Vancouver isn’t necessarily the true reflection of the food & service quality of the restaurant. Why that is the case still bothers me, as I see this as a marketing opportunity for restaurants to expand their customer base or at least get some word of mouth promotion through diners. Yet some restaurants that we visited in the past didn’t take advantage of this opportunity and failed to live up to the expectation that they establish through non-DOV time. All in all, this is still a good opportunity to check out some of the restaurants at a more affordable price. Happy eating!